In a little under three months, the James Cameron smash-hit movie Titanic will be 20 years old. The world has changed a lot since 1997, but James Cameron was quick the pioneer when he basically invented the technology that could bring a sunken ship to life, and then sink it again. 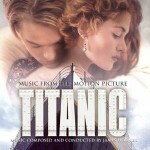 Now that the anniversary is coming, the movie Titanic, and its mega talented cast, have been making headlines. One such person has been Billy Zane, and now that the 20 year anniversary is around the corner, he has been vocal about his role in the movie, the infamous villain, Caledon Hockley. Zane claims that Cal was way misunderstood, and he was really the better choice for Rose. 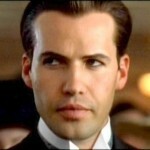 Is Billy Zane right? Should Rose have stayed with Cal? Here are some reasons why Caledon Hockley was not as bad as people think. Rose DeWitt Bukater was only 17 years old when she was dating the clearly older Caledon Hockley. While it is never said just how old Cal is, the idea is that he is perhaps in his mid to late 20′s. While Rose was quite young, it is clear she was not looking at the bigger picture. During the 1912 era, women who were in high society were cared for first by their fathers and older brothers, and then they were in the hands of their husbands. Rose was a rich girl from a good family, which meant she would never have to work, and marrying into Cal’s family would have meant she was rich and was cared for until the day she died. Typically, when a man ad woman get married, her family is not as involved with her life as they once were becuase she and her husband will make their own family. However, in the Titanic movie, it was clear that Cal was willing to not only marry Rose, but care for her mother as well. Rose talked about how marrying Caledon would mean she would have a boring life filled with boring people. However, what Rose failed to realize is that Cal took her and her mother on a European tour that probably was at least a month or two long. Back in 1912, there was no such thing as a flight to Europe, a big trip across the ocean had to be made by ocean liner, and the cost was quite high. Clearly, Cal was willing to take both Rose and her mother on such a long and expensive trip, so maybe he was not the “stuffed shirt” that Rose believed him to be. There were many times in the Titanic movie when Cal showed that he had a lot of feelings for Rose, and was in fact in love with her. Not only did Cal pay for a trip to Europe, and for Rose to buy her paintings, but he also bought her a very rare blue diamond necklace. When the Titanic struck the iceberg, Cal had a chance to leave the sinking ship, but he decided against it becuase he wanted to find Rose. 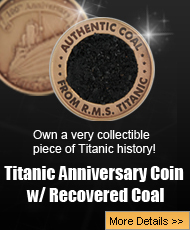 Imagine the terror of a sinking ship, and the woman you love somewhere on it? Finally, when the sinking reached a critical point, Cal had no choice but to save himself. 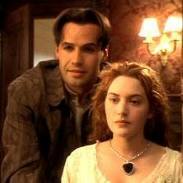 When Rose ended up on the Carpathia, Cal is seen looking around the ship for her. If Cal did not care for Rose, would he have bothered trying to search for her? The 1997 hit movie Titanic turns 20 in December, and the movie, and its talented stars, have been in the news lately. 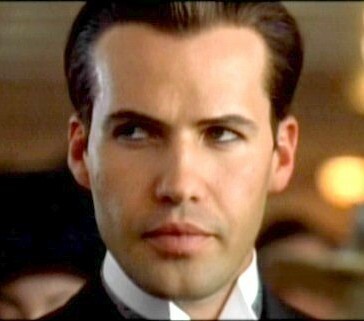 One such Titanic cast member making headlines is Billy Zane. Zane played Caledon Hockley in the movie, the fiance of Rose DeWitt Bukater, and his character is pegged as the bad guy of the movie. However, Zane pointed out some reasons why Cal Hockley was misunderstood, and perhaps he is right that Rose might not have made the right choice. Cal was quite wealthy, and seemed to care for Rose, but for the young 17-year-old, love was not enough and she wanted more than that. Maybe if Rose had given Cal the benefit of the doubt, and opened up to him like he wanted, things would have been different between them. But then again, if Cal and Rose had ended up together, would the Titanic movie have been the giant hit that it turned out to be?